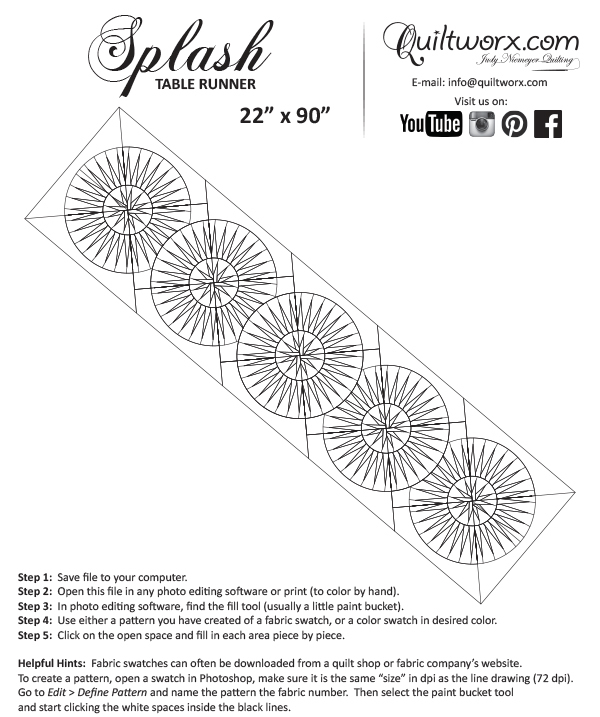 Splash was designed by Judy and Brad Niemeyer in 2015. A Tonga Batik collection called Lakeshore by Judy and Judel Niemeyer with Timeless Treasures was the inspiration for making this Table Runner. This design was created using a classic block in the Quiltworx collection called the Raindrops, which has been updated to current design standards and used in a variety of different layouts. We designed it to showcase the power of Quiltster, a new application set to launch in Spring 2016. This program not only allows you to audition fabrics in your quilts before you buy, but also shares blocks across several layouts. It also allows you to switch out blocks that are identically sized for others, creating a wide range of finished quilt options. To learn more about Quiltster, visit http://www.quiltster.com. 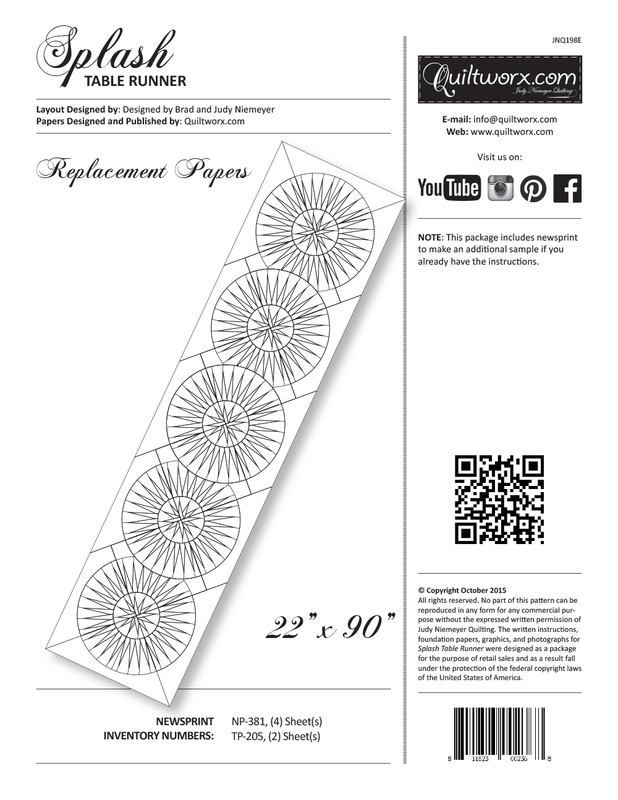 Foundation paper piecing, floating points, and Template Layout Sheets are featured in these instructions, as they have become design standards that our customers have come to expect when they work with one of our patterns. Kathleen Crabtree May Black, I love you bright runner! Sue Jonsberg Those points! Amazing precision! Barbara Liptrott Dole Is this a new pattern? Brenda Barnett Retzlaff Nice work on the points.